The perennial favourite nasi lemak is the centre of attraction at the Nasi Lemak Rempah Ratus restaurant in Bandar Puchong Jaya. The dish lures you with its fragrant rice complemented by slices of cucumber, a portion of egg, anchovies and a dollop of sambal that gives the dish its character. The usual deal with nasi lemak, you would say, but the restaurant's co-owner Lee Beng Yee insists that they've added their own spin to the ubiquitous fare making it stand out from the rest. He said that the difference lies in the rice as they use two types of rice - basmati and the normal Siam rice. “When you combine these two types of rice, the end result is cooked rice that's loose in texture. This doesn’t give you that heavy feeling after a meal,' said Lee. Something unique: The Nyonya Fish Head Curry that uses salmon instead of the usual fish. So how did the idea for a restaurant come about? “We started out supplying nasi lemak packets to hypermarkets in town, and only opened this restaurant in May 2005,” said Lee. “In fact we still supply to hypermarkets every day. With dark timber décors and furniture, the restaurant exudes a sleek and comfortable ambience, adding to the charm is an array of neatly displayed bottles of spices ranging from star anise, cardamom to turmeric, which Lee said are used for the cooking. “Customers could either sit and wait for their order or they can opt for self-service. .
Crispy: The roti bakar with chocolate-flavoured bread. “Nasi lemak is a meal that can be eaten at all times, and is accepted by all,” said Lee. Besides the usual chicken rendang and beef rendang, Lee also recommended the Ayam Goreng Berempah that is crispy, fragrant, and succulent. The other highly recommended dishes on the ala Carte menu are Ayam Masak Merah or Chicken Curry Kapitan Nyonya-style. The Nasi Goreng Kampung Rempah Ratus that offers rice stir-fried with chilli paste, curry and kurma powder and served with fish crackers, chicken satay sticks and fried egg, is the other highlight. For something different, the Nyonya Fish Head Curry, one of the house specialities, offers salmon in flavourful gravy served in a claypot. “We wanted to move away from the usual types of fish and the we find the salmon much sweeter,” said Lee. For Kelantanese food lovers, the Nasi Kerabu with the steamed rice and topped with grilled kampung fish and dried shrimp paste as well as ulam, salted egg and fish crackers tops the list. 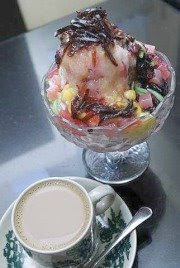 Cooling: The ABC is one of the desserts offered at the restaurant. The other Malaysian favourite, Roti Bakar is served with a slight twist here. 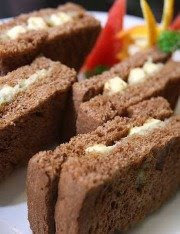 The restaurant's version uses chocolate-flavoured bread and toasted Hainanese style with homemade kaya and butter. For western food lovers, you could for the Grilled Ribeye Steak drizzled with your choice of Black Pepper Sauce or Mushroom Sauce. 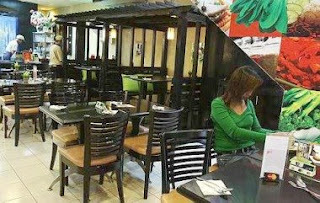 “Our set lunches are very popular especially with the working people who prefer affordable quick meals. We also offer set dinners,” said Lee. Lee added that they also do catering for auspicious Chinese ceremonies such as baby christening and other outdoor events. Head chef Faizal Nawi said individual pastes are created for the different dishes and produced at the restaurant's main production centre in Puchong, before being transported over to the restaurant's kitchen for easy cooking. # NASI LEMAK REMPAH RATUS RESTAURANT & CAFÉ, 33, Jalan Kenari 17C, Bandar Puchong Jaya, 47100 Puchong. (Tel: 03-8076 5371). Business hours: Daily; Mon to Thurs, Sun (10am to 10pm), Fri and Sat (10am to 11pm).